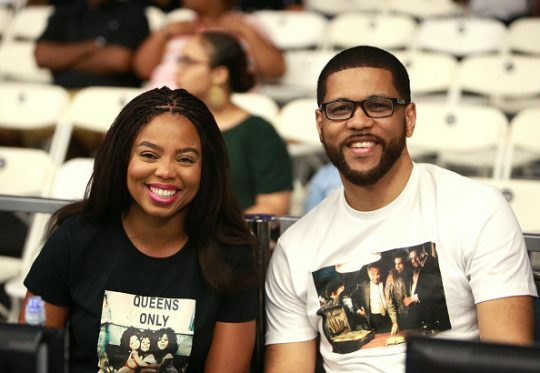 ESPN said in a statement Tuesday that "SportsCenter" host Jemele Hill's tweets calling President Donald Trump a white supremacist were not representative of the network. ESPN went on to say that Hill now recognizes her tweets were "inappropriate." Hill, who co-hosts a 6 p.m. ET edition of ESPN's flagship program, blasted Trump in a series of tweets Monday evening, calling him a "white supremacist" who had also filled his administration with white supremacists. ESPN, which has faced accusations of having a liberal bias in its coverage, released a statement Tuesday through its public relations Twitter account after Hill's statements drew strong backlash. "The comments on Twitter from Jemele Hill regarding the President do not represent the position of ESPN. We have addressed this with Jemele and she recognizes her actions were inappropriate," it said. The incident with Hill marks yet another public relations headache for ESPN, which was widely mocked last month after it elected to remove an announcer named Robert Lee from broadcasting a University of Virginia football game. The reasoning: his name's similarity to Confederate General Robert E. Lee and the timing of the white supremacist unrest in Charlottesville, Va. This entry was posted in Culture and tagged Charlottesville, Donald Trump, ESPN. Bookmark the permalink.